As you try to expand the reach and appeal of your business, what is one of the most powerful marketing tools you have at your disposal? You might have answered “social media,” and you would be correct. 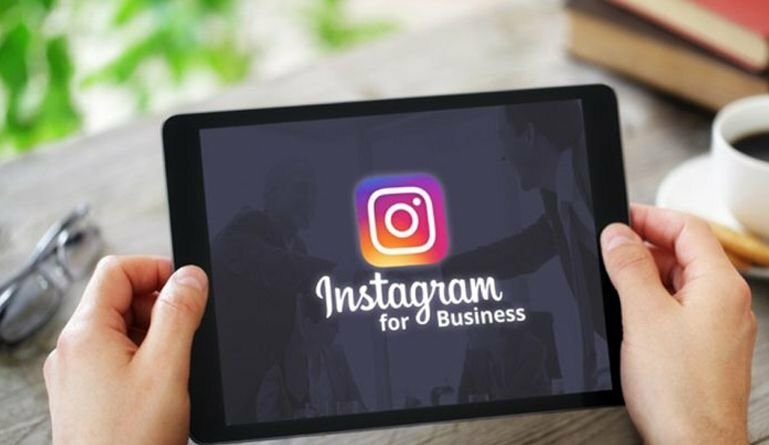 But more specifically, Instagram can be an amazing asset to your business—if you know how to use it as a marketing tool. This post will provide you with the know-how you need to leverage this visually-oriented platform to expand your reach, build your brand, and attract new customers. For starters, why use Instagram for marketing in the first place? For one, it’s one of the largest social networks in existence with 800 million active monthly users and counting (Source: TechCrunch). In other words, it’s highly likely that a good portion of your target audience can be found on the platform. Second, research has shown that Instagram has not one of the highest, but the highestengagement rate of all social networks, by far. Needless to say, if it’s your aim to increase the effectiveness of your marketing, you need to master the use of Instagram. But how exactly can you leverage this invaluable marketing tool to reach your business and social media marketing goals? To consistently generate new interest in your business, you need to use hashtags. After all, they are the way that users search for photos of a specific type or relating to something of interest. If one of your posts shows up during their search, they may take the time to explore your account further and may even follow you. When choosing and using hashtags, though, there are a few things you need to keep in mind. First, while you don’t need to use hordes of hashtags per post, you do need to use at least a couple on every post. Which ones? That brings us to the second point. The majority of tags you choose should be relevant in some way to your industry. That way, more people who stumble across your posts will actually be interested in what you do and offer. Yet, you should also use a mix of local and trending hashtags. For example, #newyork or #flashbackfriday. These might not necessarily be related to your business or industry and, thus, will likely attract fewer qualified leads. That’s not to say that they aren’t worth your time. You can still boost awareness of your business this way. Consistency is key. You’ll have a hard time keeping your followers if you’re “all over the map” and they never know what to expect from you. Therefore, each one of your posts should hold to the same theme as the others. Each post should fit seamlessly into the bigger picture—your business’ story—like a puzzle piece. What about those times when you really want to share something without interrupting the story told collectively by your posts? That’s when Instagram Stories come in handy, as they’ll allow you to share content apart from all the rest. No doubt you’d agree that the benefits are worth the time it takes to interact. Who should you be engaging with, though? Your followers, industry authorities and the followers of those you follow. The more people you engage with, in a sincere way, the better the results of your efforts. Industry authorities include micro-influencers, individuals who have cultivated a strong following within a highly specific niche thanks to social media and blogging. Going right along with the last point, sharing user-generated content is an excellent way to engage and be engaged with. You can come up with fun and creative ways to get your customers to share their pictures, videos and positive experiences with your business. In turn, others may become customers and share their enthusiasm in hopes of having the same honor. User-generated content is one of the best forms of social proof and one of the best ways to create an air of excitement surrounding your brand. As you try to nurture the leads you generate, it’s important that you find ways to get them more and more involved with your business. Since location tags encourage in-person interaction, they can help you to do this. What better way to point users to your physical business location? That may be all the motivation someone needs to get in the car and pay you a visit, especially after seeing other images that may be associated with the location you choose. Also, your location tag could point to a place you are or you want your followers to be, if possible. For example, a workshop or an important conference in your industry. One wonderful thing about Instagram is that, even if you only have a free account, it can still be an effective marketing tool for you. Yet, if you want to pack an even harder punch, you can use the platform’s advertising features as well. • How Much Does it Cost to Advertise on Instagram? As with any goal, it’s necessary to have a plan. Otherwise, you’ll struggle to reach your 2018 Instagram marketing goals. Whatever it is that you hope to achieve this year, the strategies above apply. They can and should form the foundation that will help you to meet and exceed expectations. You have a valuable marketing tool at your fingertips. Don’t let it—or 2018— go to waste!